You can display a calendar utility by clicking the arrow next to the date box. Defining a Data Message, below. 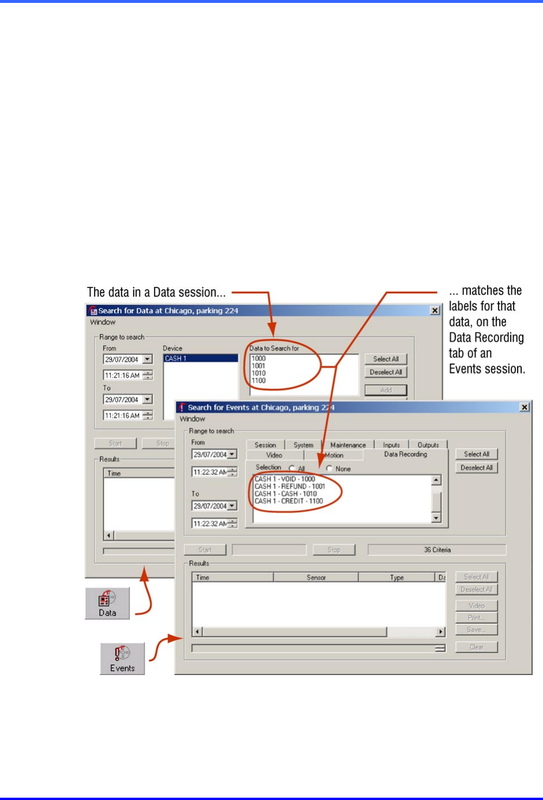 The labels can also be viewed in an Events session. Fig. 79. Reminder of data labels in Search for Events session.